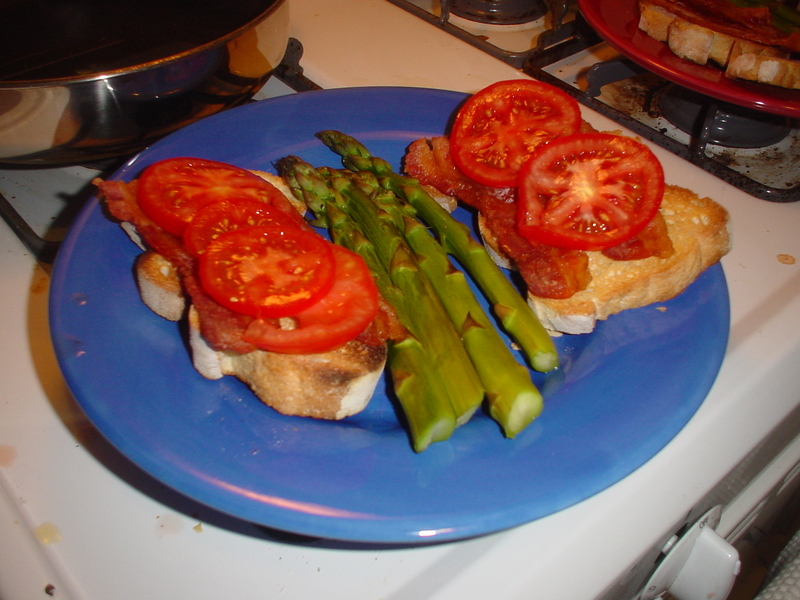 This entry was posted in Asparagus, Bacon, Baguette, Cheese, Fighting, Mike & Marcia, Sauce, Tomatoes, Welsh. Bookmark the permalink. 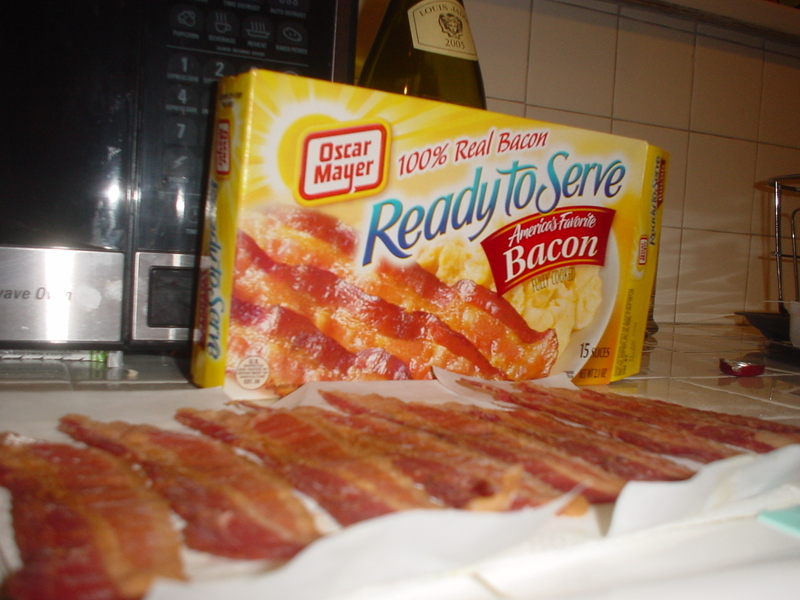 We invite Dave over because two boxes of the pre-made sauce and one box of microwavable bacon make three dishes perfectly. And also because we love him. 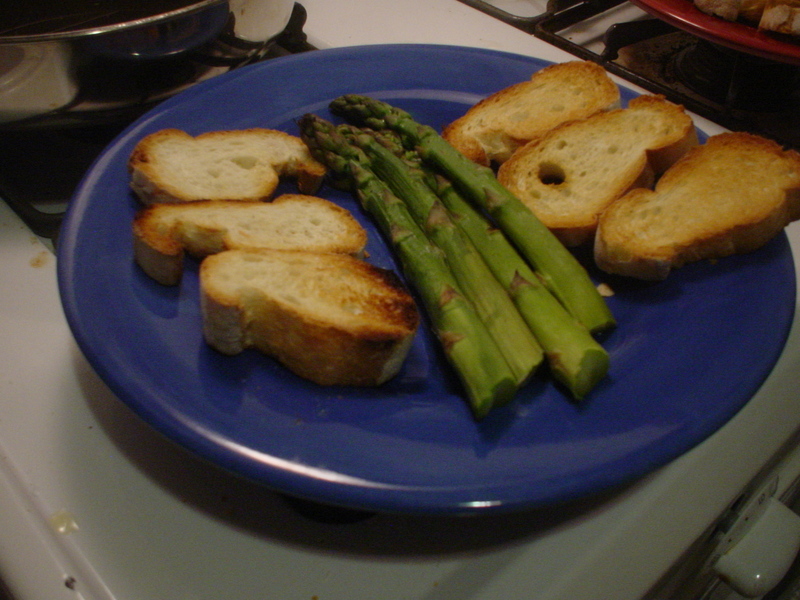 Just a hint, start the asparagus and then the bread. 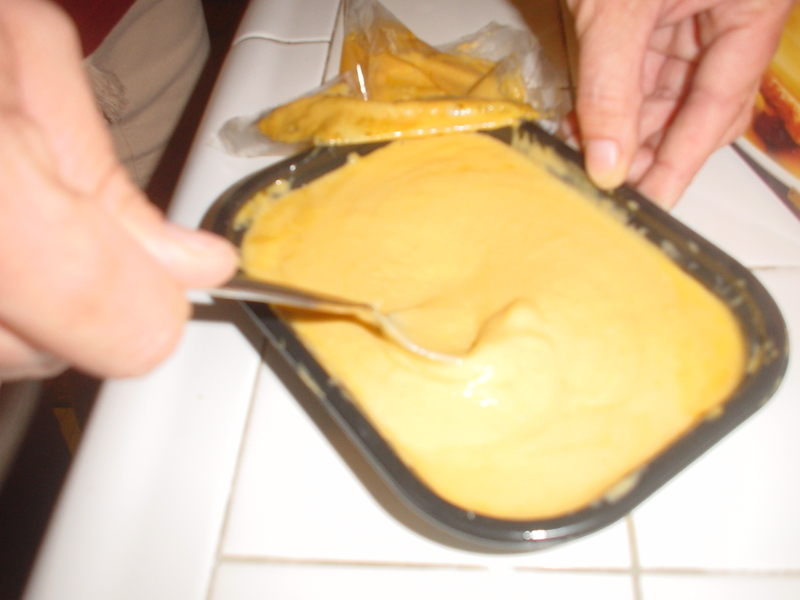 Everything should be on the plate as the sauce is coming out of the microwave because it does get cold fast. 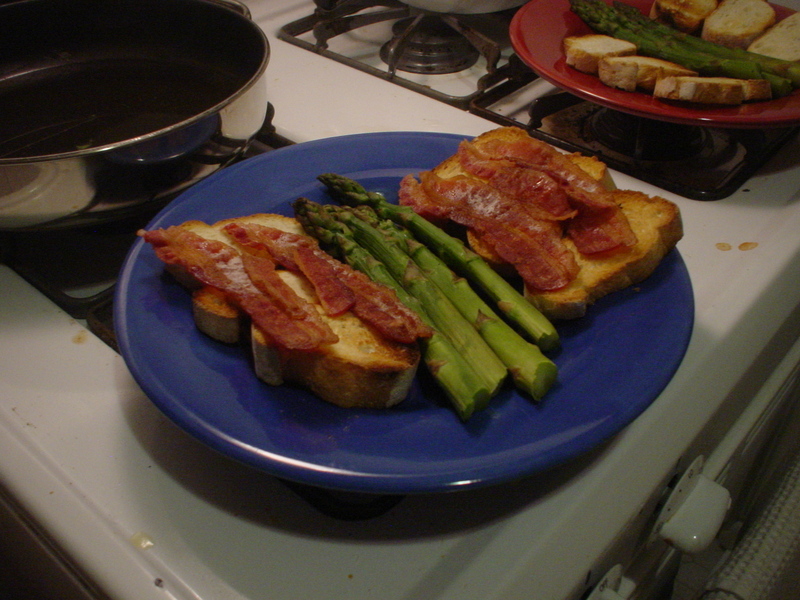 This is yummy and only takes 15 minutes to prepare if you take our short cuts. You were gypped my friend. 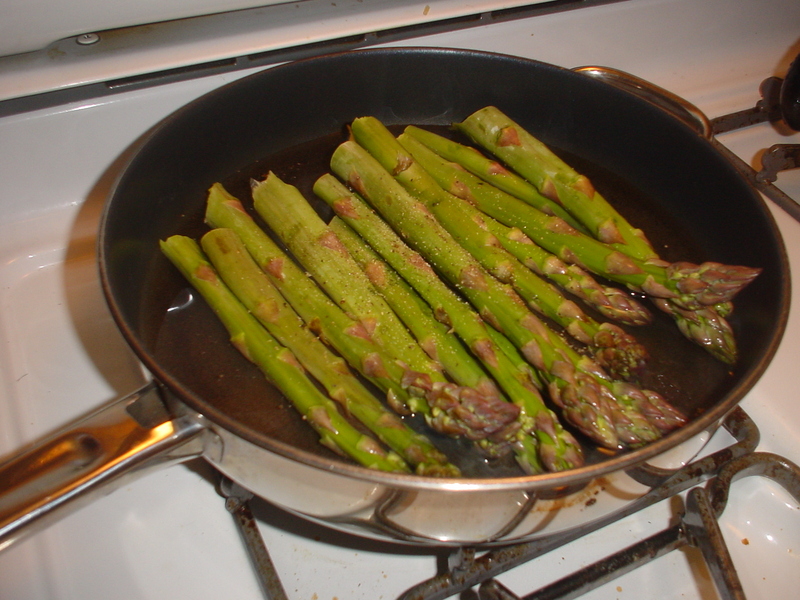 My mother would NEVER have left those ugly little triangle things on the aspargus before cooking them. I vote for “Do You Want To Do This? DO YOU WANT TO DO THIS? 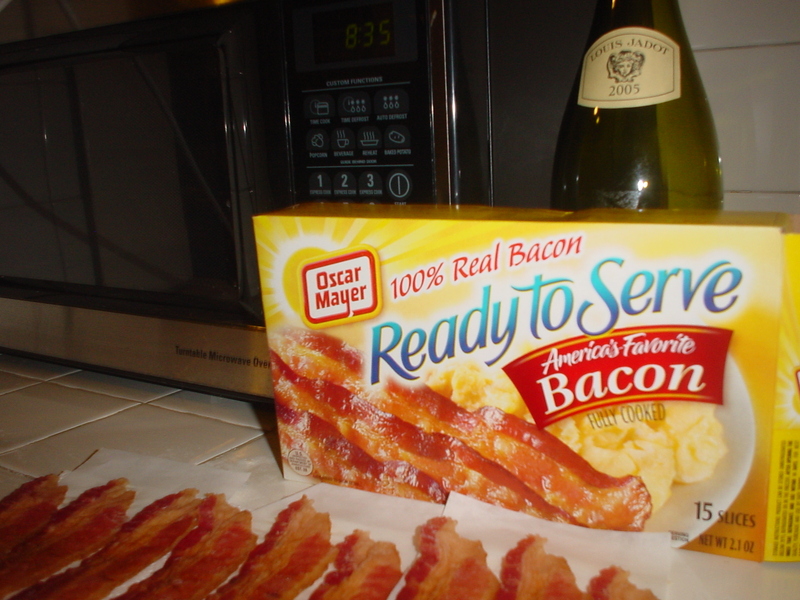 OK THEN.” for comedic value, but I think “Um…My Wine Glass Is Empty. Ahem.” carries the day as the motto of whichever one of us is head chef that night. That cooking stuff sounded sorta’ familiar, except in our house it’s more like “Just… please, go away.” and then I leave and that’s that. To her credit, she did allow me to make a meatloaf a couple days ago. To my credit, it came out pretty damned good. The only problem now is that she may start expecting me to make things. I probably would’ve been better off really doing a horrible job so that she’ll never ask me to cook anything again. That looks really good, except now I’m scared to buy tomatoes at the store. Salmonella. 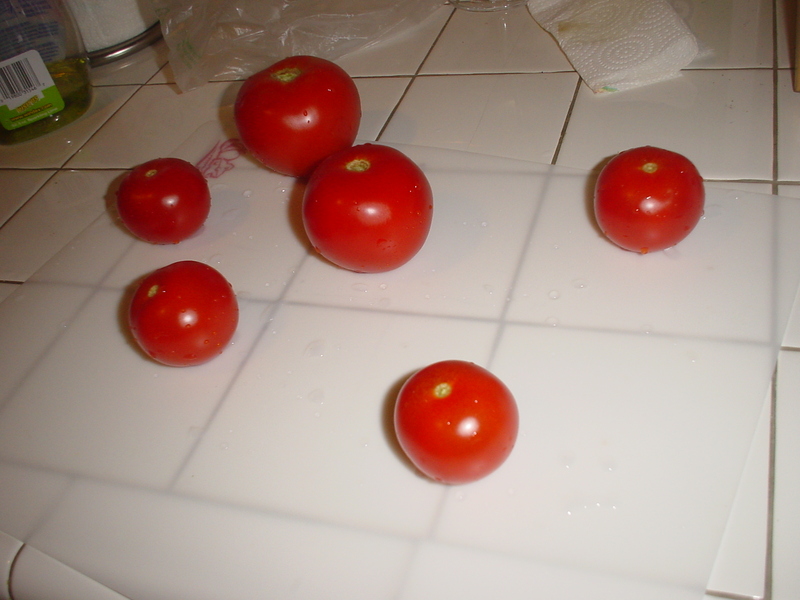 So I’ll wait to make this until our tomatoes in our own yard get ripe. 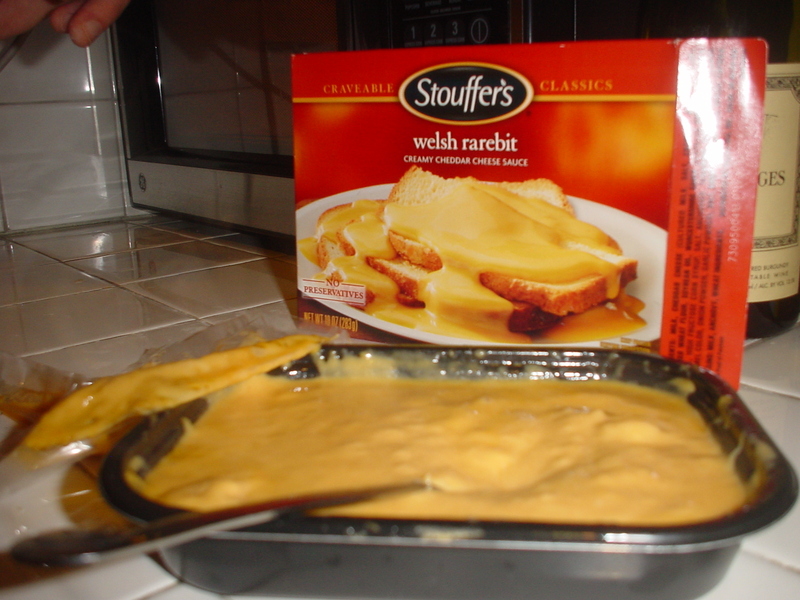 In my book.. anything from Stouffers is great… use it as you need it. 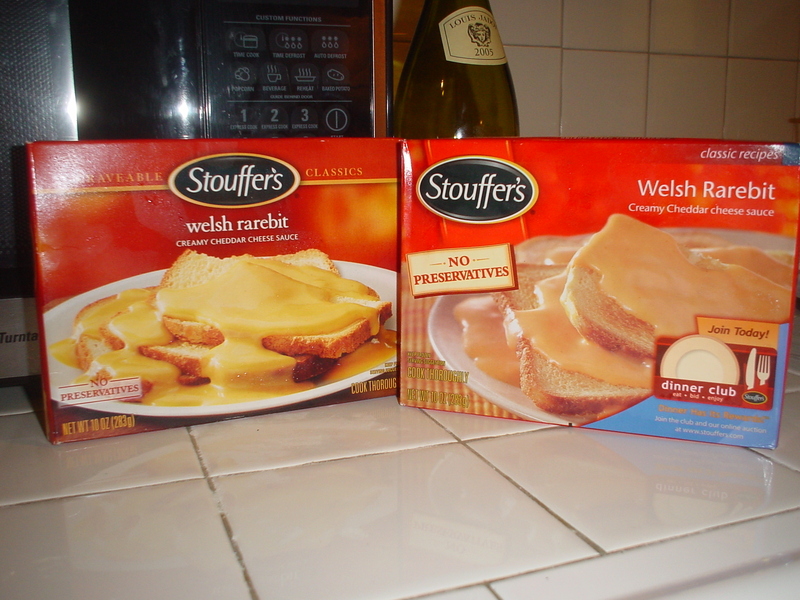 I gotta agree with DadCooks on the Stouffers tip… I was just waxing on about the spinach souffle yesterday. 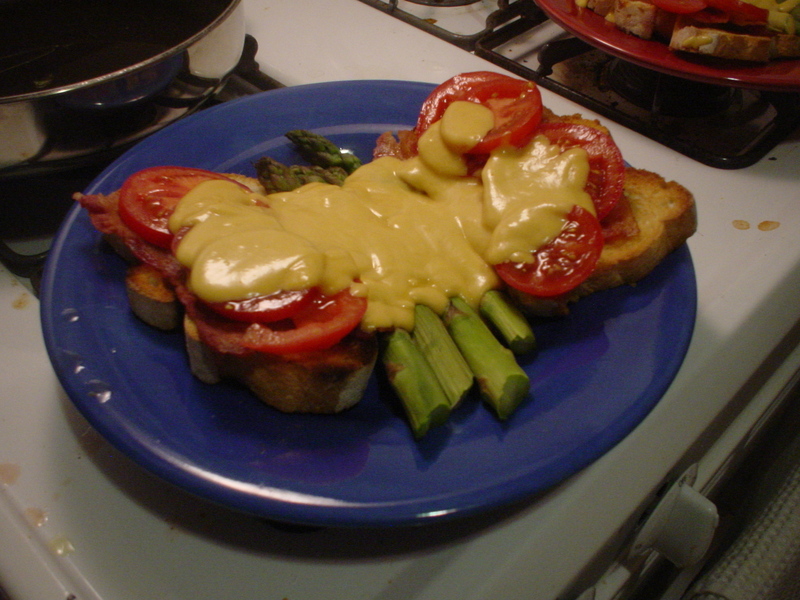 I can’t say I’ve seen any rarebit around these parts, though… I must look harder. It looks AMAZING. I don’t know y0ur friends, but I love them already. Also, Chris hasn’t made anything since the meatloaf.